Rolex is introducing the latest generation of its Oyster Perpetual Sea-Dweller, a legend among professional divers’ watches created 50 years ago in 1967. The new Sea-Dweller features a larger, 43 mm case and the new calibre 3235, at the forefront of watchmaking technology and employed for the ﬁrst time in a Rolex Professional category watch. To enhance the reading of the date, it is equipped, also for the ﬁrst time, with a Cyclops lens on the crystal at 3 o’clock. The dial bears the name Sea-Dweller in red, a reference to the ﬁrst model. 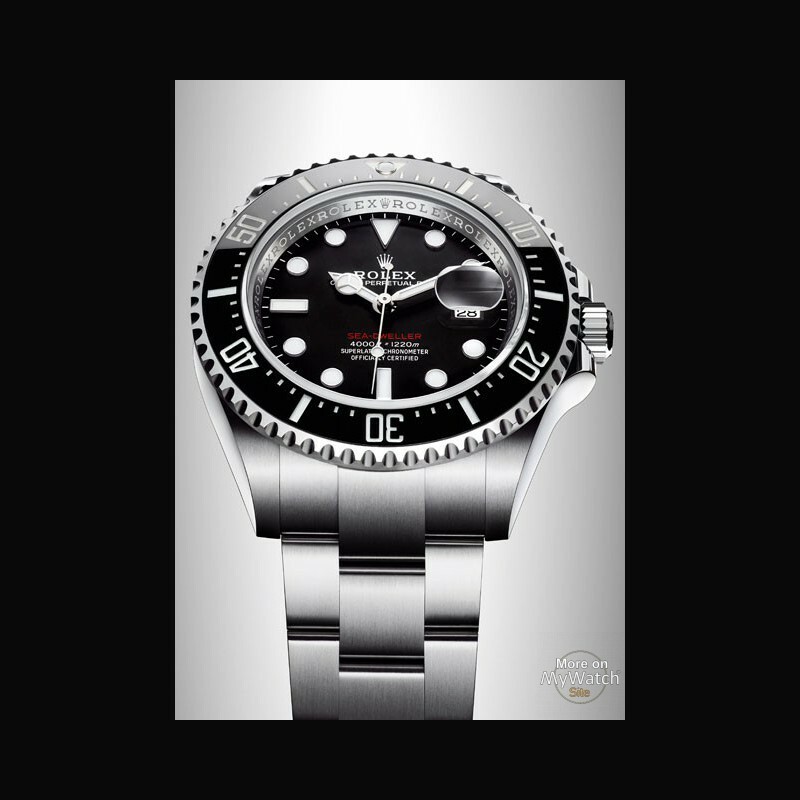 Like all Rolex watches, the new Sea-Dweller carries the Superlative Chronometer certiﬁcation redeﬁned by Rolex in 2015 to ensure singular performance on the wrist. A technical divers’ watch, waterproof today to a depth of 1,220 metres (4,000 feet), the Oyster Perpetual Sea-Dweller was originally designed for the pioneers of professional deep-sea diving. It is equipped with one of the inventions that contributed to its stature: the helium escape valve, patented by Rolex in 1967. While preserving the waterproofness of the watch, this ingenious safety valve regulates the pressure accumulated in the case during the decompression phases of deep-water saturation dives. 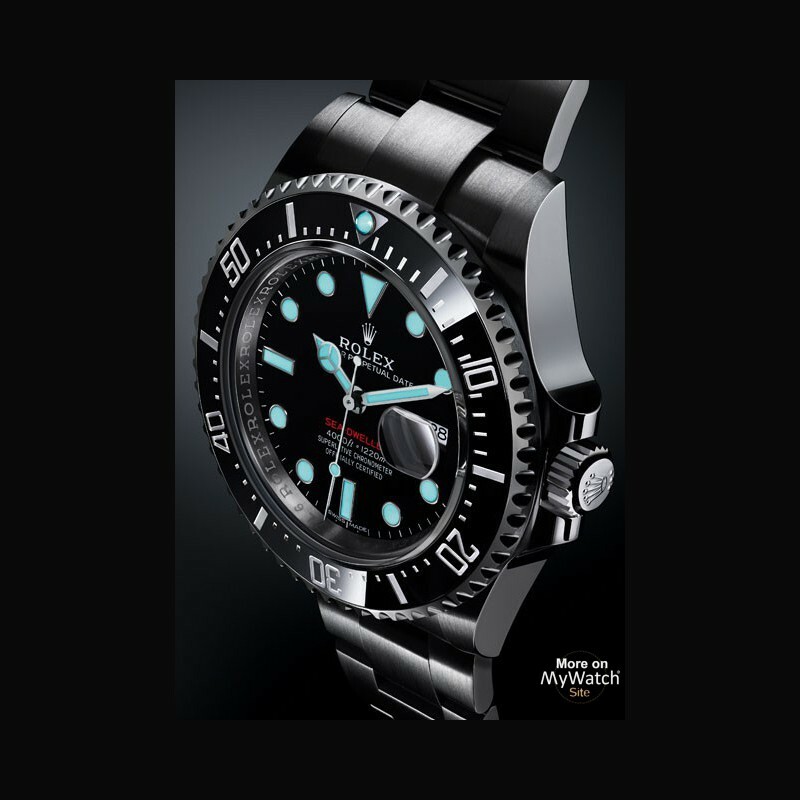 The 60-minute graduated, unidirectional rotatable bezel of the new Sea-Dweller enables divers to precisely and safely monitor their dive and decompression times. 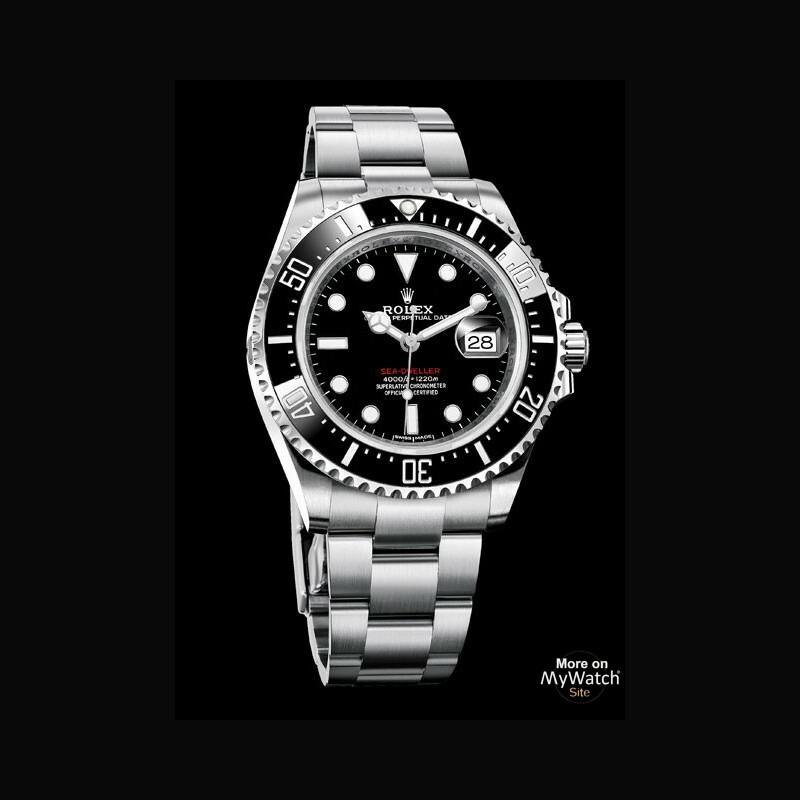 It is equipped with a patented black Cerachrom bezel insert manufactured by Rolex in a virtually scratchproof ceramic whose colour is unaffected by ultraviolet rays. The graduation is coated via PVD (Physical Vapour Deposition) with a thin layer of platinum. The sleek black dial features large Chromalight hour markers and hands, ﬁlled with luminescent material that emits a long-lasting blue glow for excellent legibility in dark conditions. The Sea-Dweller’s Oyster case, guaranteed waterproof to a depth of 1,220 metres (4,000 feet), is a paragon of robustness. Its characteristically shaped middle case is crafted from a solid block of particularly corrosion-resistant 904L steel. Its ﬂuted case back is hermetically screwed down with a special tool that allows only Rolex watchmakers to access the movement. The winding crown is protected by a crown guard that is an integral part of the middle case. Fitted with the Triplock triple waterproofness system, the crown screws down securely against the case, providing watertight security akin to a submarine’s hatch. The crystal, with a Cyclops lens at 3 o’clock for easy reading of the date, is made of virtually scratchproof sapphire. The waterproof Oyster case provides optimum protection for the Sea-Dweller’s high-precision movement. 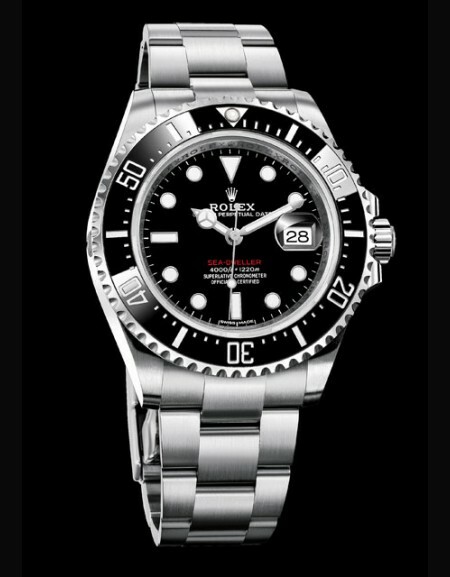 The Sea-Dweller is equipped with calibre 3235, a new-generation movement entirely developed and manufactured by Rolex. 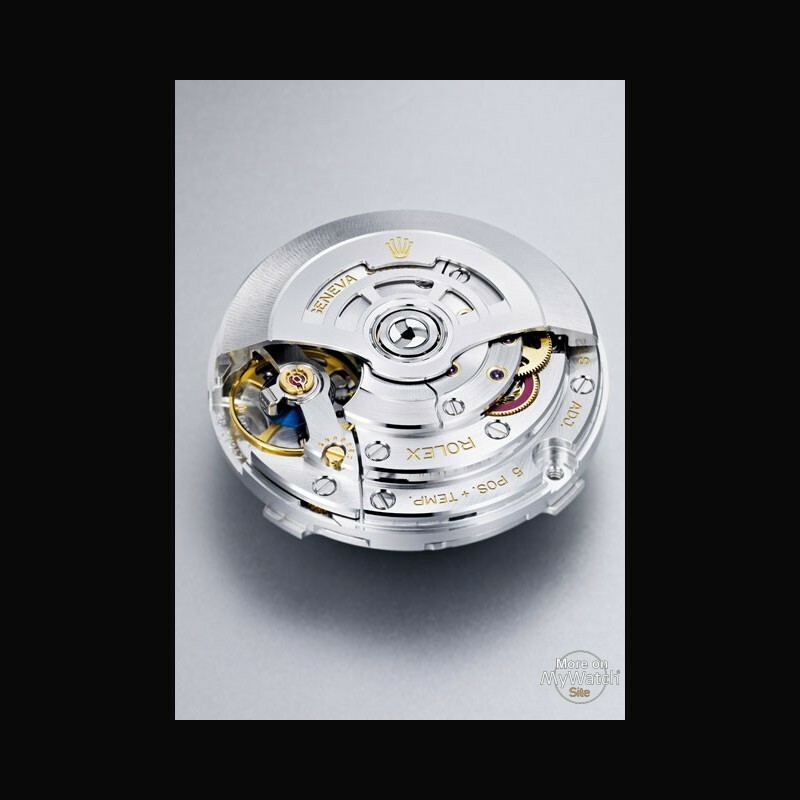 This self-winding mechanical movement is at the forefront of the art of watchmaking. A consummate demonstration of Rolex technology, with 14 patents, it offers fundamental gains in terms of precision, power reserve, resistance to shocks and magnetic ﬁelds, convenience and reliability. It incorporates the new Chronergy escapement patented by Rolex, which combines high energy efﬁciency with great dependability. Made of nickel-phosphorus, it is also insensitive to magnetic interference. An optimized blue Parachrom hairspring is ﬁtted to the oscillator, the true heart of the watch. 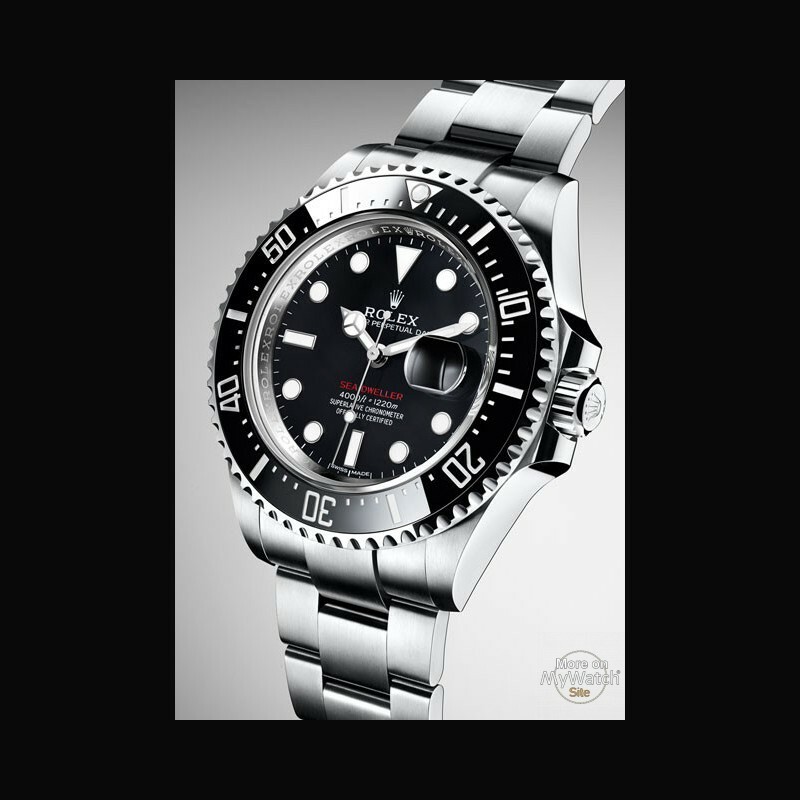 Patented and manufactured by Rolex in an exclusive paramagnetic alloy, it is up to 10 times more precise than a traditional hairspring in case of shocks. A Rolex overcoil ensures its regularity in any position. Calibre 3235 is equipped with a self-winding module via a Perpetual rotor. Thanks to its new barrel architecture and the escapement’s superior efﬁciency, the power reserve of calibre 3235 extends to approximately 70 hours. The new Sea-Dweller’s solid-link Oyster bracelet in 904L steel is ﬁtted with an Oysterlock safety clasp that prevents accidental opening. 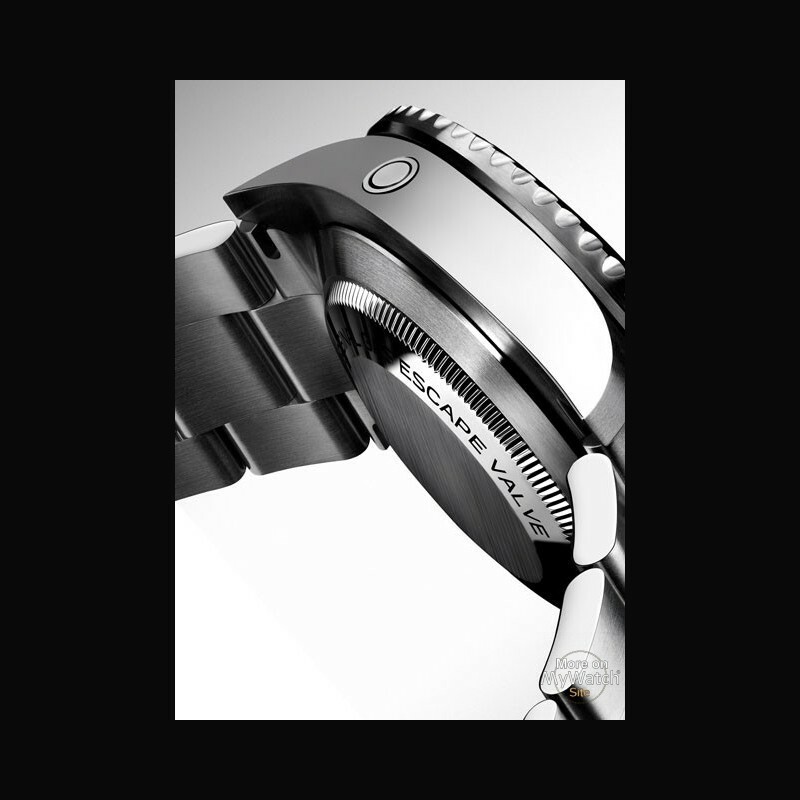 A double extension system allows adjustments to be made without the use of tools, so that the watch can be worn comfortably over a diving suit up to 7 mm thick. 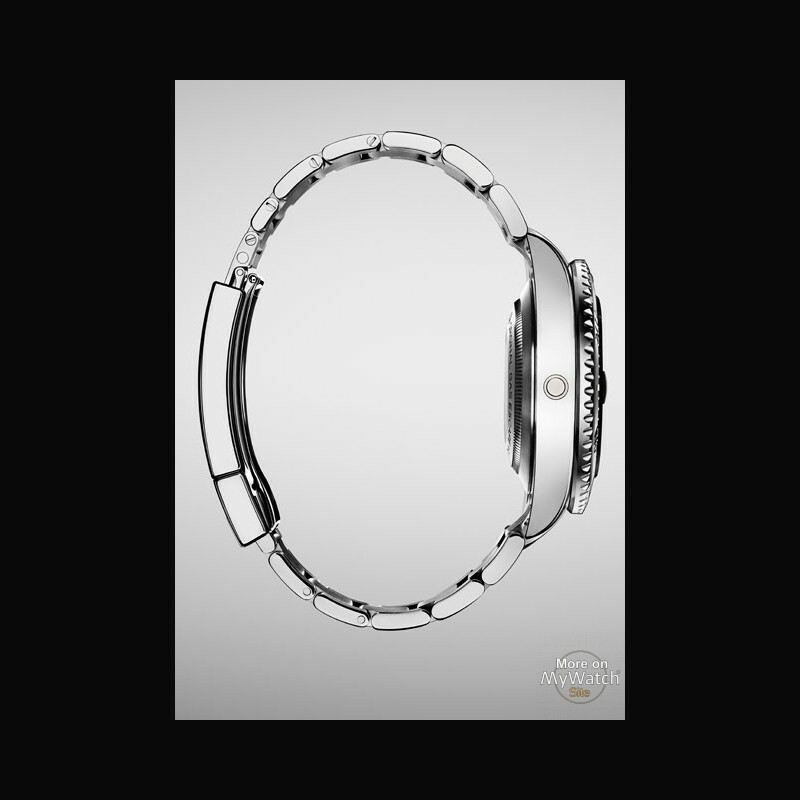 The Fliplock extension link extends the bracelet by 26 mm, while the Rolex Glidelock system allows ﬁne adjustment of the bracelet length in 2 mm increments for a total of approximately 20 mm. 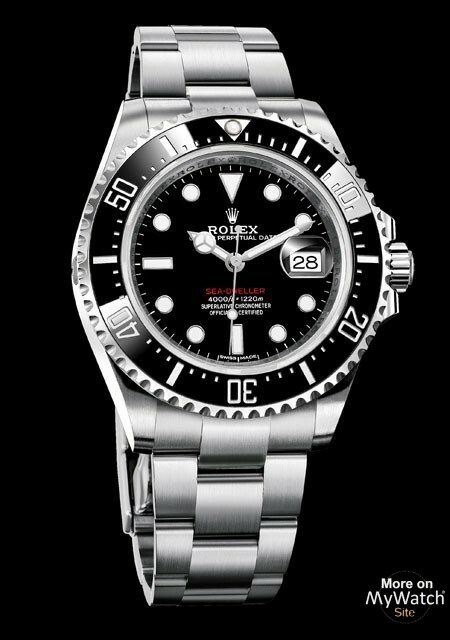 Like all Rolex watches, the Sea-Dweller is covered by the Superlative Chronometer certiﬁcation redeﬁned by Rolex in 2015. 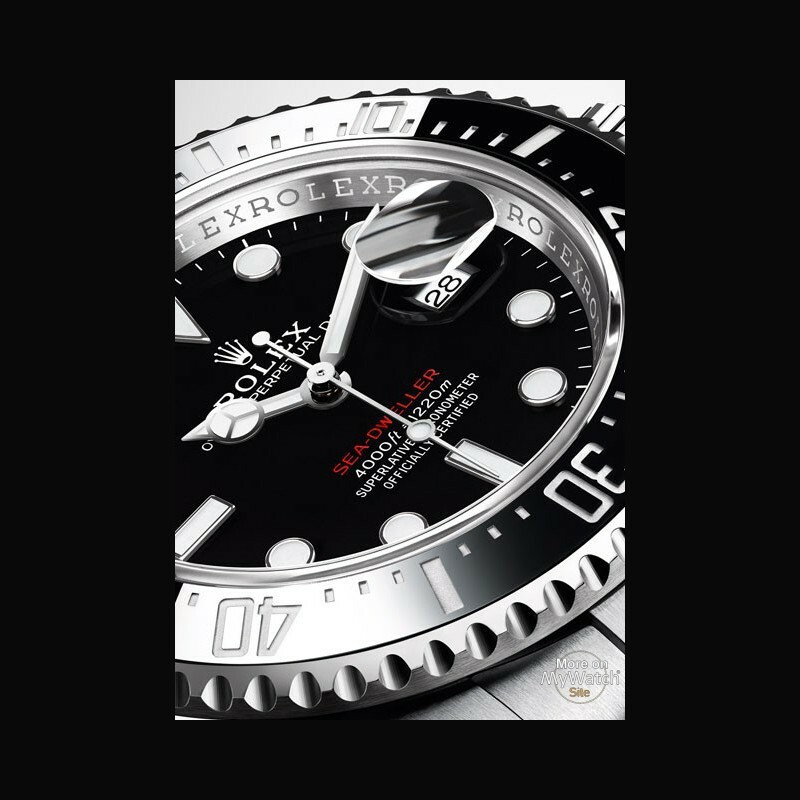 This exclusive designation testiﬁes that the watch has successfully undergone a series of tests conducted by Rolex in its own laboratories according to its own criteria, which exceed watchmaking norms and standards. The certiﬁcation applies to the fully assembled watch, after casing the movement, guaranteeing superlative performance on the wrist in terms of precision, power reserve, waterproofness and self-winding. 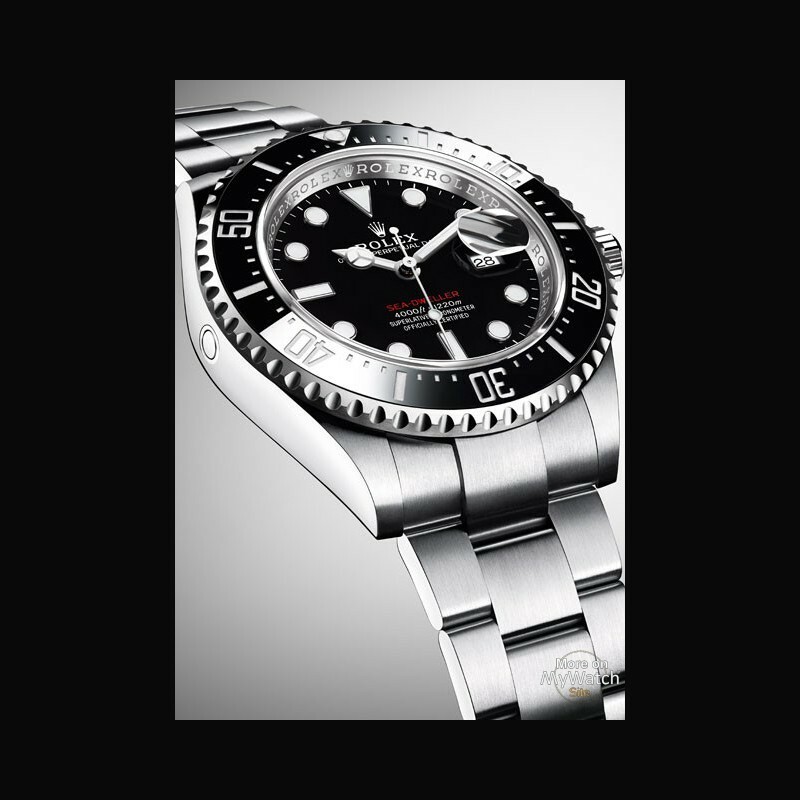 The precision of a Rolex Superlative Chronometer after casing is of the order of −2/+2 seconds per day, or more than twice that required of an official chronometer. 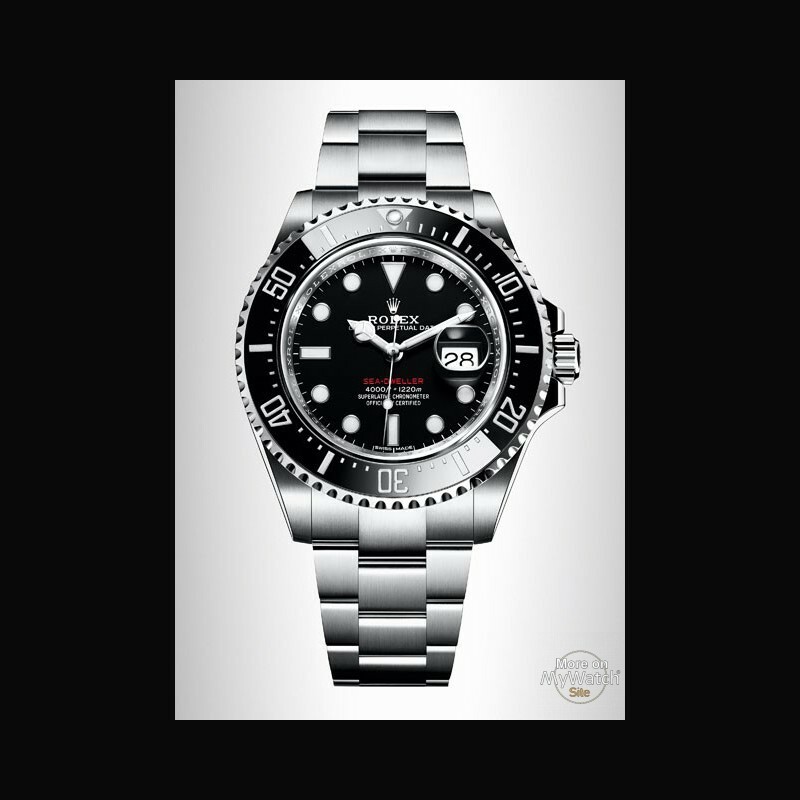 The Superlative Chronometer status is symbolized by the green seal that comes with every Rolex watch and is coupled with an international ﬁve-year guarantee.